Top to bottom, Streptocarpus, Sinningia, Columnea. The main economic use of Gesneriaceae in the Western World is for ornamentals. The most important genera are Saintpaulia (now part of Streptocarpus), Streptocarpus, Aeschynanthus, Sinningia, Achimenes, Episcia, Columnea and Nematanthus. “African Violets” (species and hybrids of Streptocarpus section Saintpaulia) and “Florist’s Gloxinias” (Sinningia speciosa hybrids, often forms with abnormal, radially symmetrical flowers) are among the most popular indoor ornamentals in America and Europe. There exist probably more than 40,000 named cultivars of Saintpaulia, of which some 7,500 are registered by the African Violet Society of America. A number of organizations have been established by growers and enthusiasts of Gesneriads in general and of various Gesneriad taxons. These include the Gesneriad Society (see link at top of page), African Violet Societies worldwide (for Saintpaulia), the British Streptocarpus Society and others. 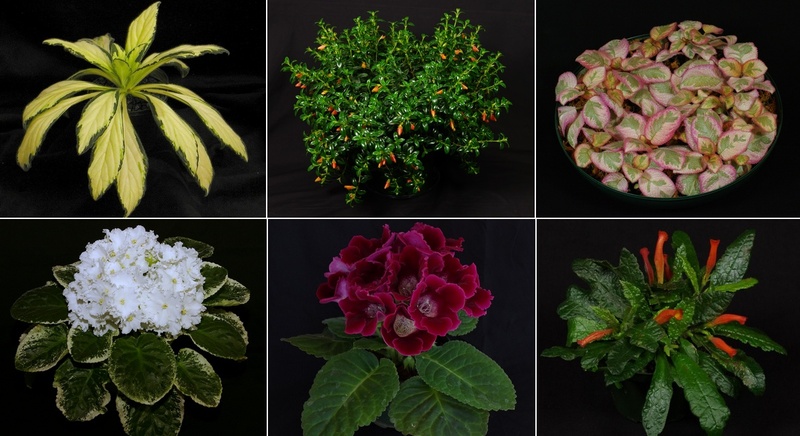 Links to these and others may be found on the Gesneriad Society Website. This website, the GRW, includes comprehensive information on the entire range of Gesneriaceae, including thousands of images of plants grown by enthusiasts. Many of these plants have been grown for competition. Competitive flower shows encourage best practices in horticulture, and the many hobbyist organizations make a significant economic contribution through annual (or more frequent) gatherings to display plants, learn more about the Gesneriaceae and socialize with like-minded friends.